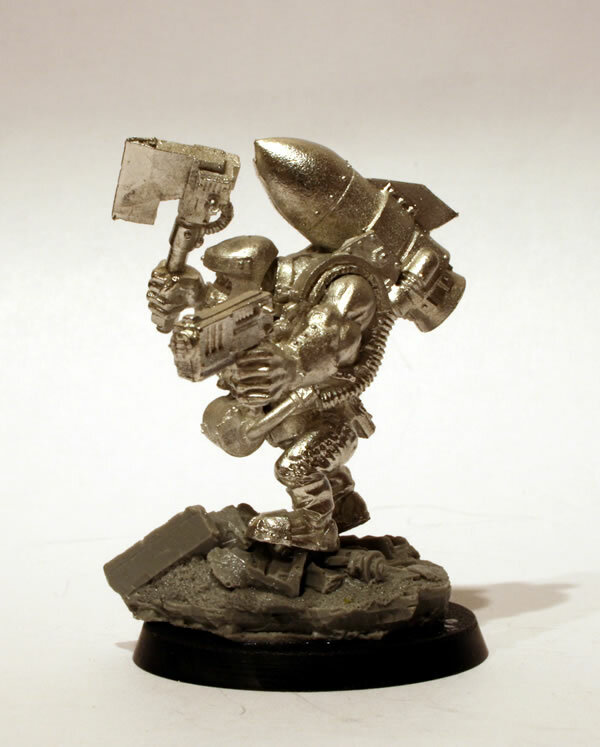 How I am painting my Stormboyz. One of my Ork units I do like are my Stormboyz (even despite Simon calling them the Lipstick Boyz) however they are leaderless, until now! 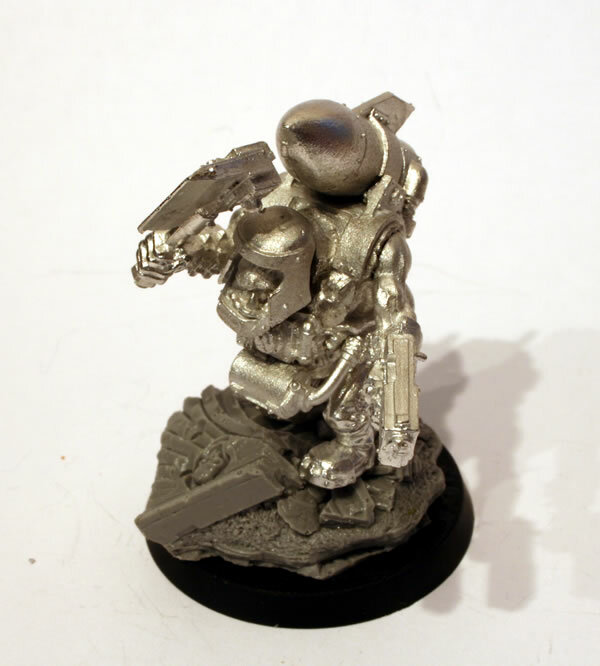 Games Workshop do produce a Stormboyz Nob, however it is only available by mail order and not from their shops. So when I was up in Nottingham recently I did get the Stormboyz Nob when I visited Warhammer World. 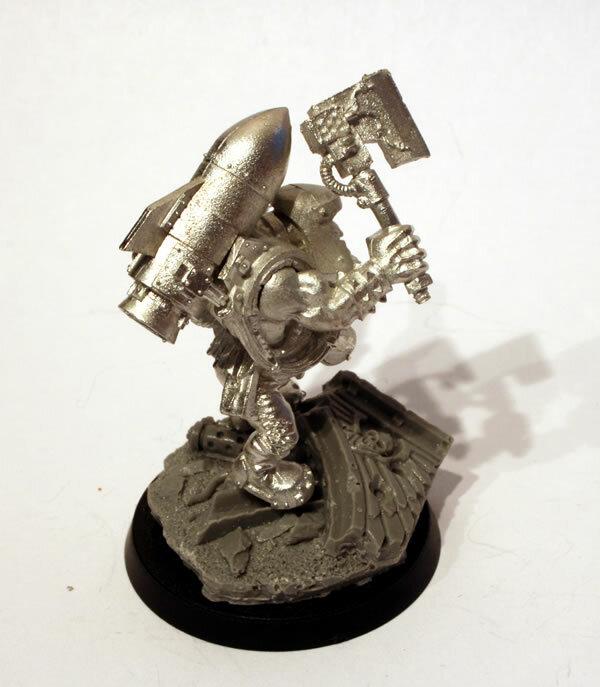 It is a nice model and will certainly give my Stormboyz mob a bit more punch. You get a fair few parts. The main body, two arms, a head and the rokkit! The parts went together very easily. The only exception was the model was too heavy for the slottabase (and the tab was on the thin side). So I decided to use a resin piece from my Urban Basing Kit and use a 40mm round base instead of the supplied 20mm base. The right side view. 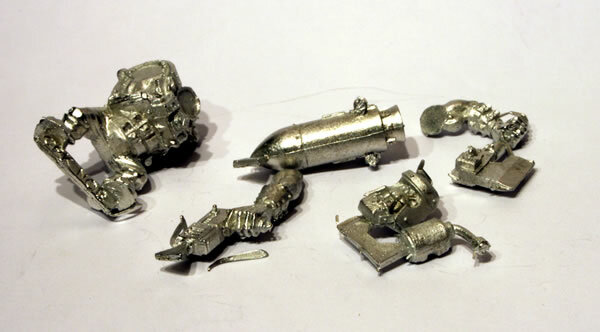 When I painted my Stormboyz I actually painted the rokkit packs separately, partly as I wanted to use light browns. 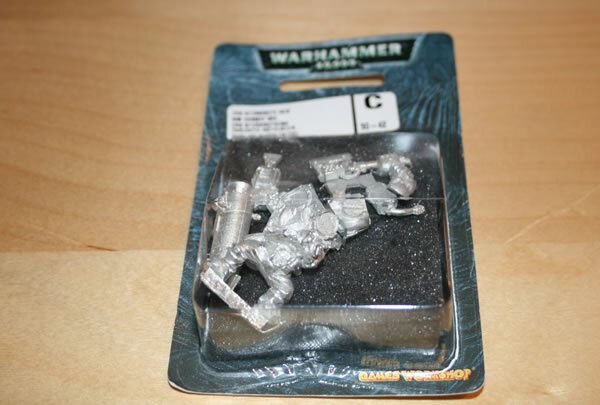 With this model I have already stuck the rokkit pack to the Ork, so it will be black undercoated. However by using Foundation Paints, I am hoping that this will not be an issue. Top view of the Ork.